We intended to drive to Barcaldine, but happily spent too long in Tambo, so only drove 103km to Blackall on the Barcoo River. 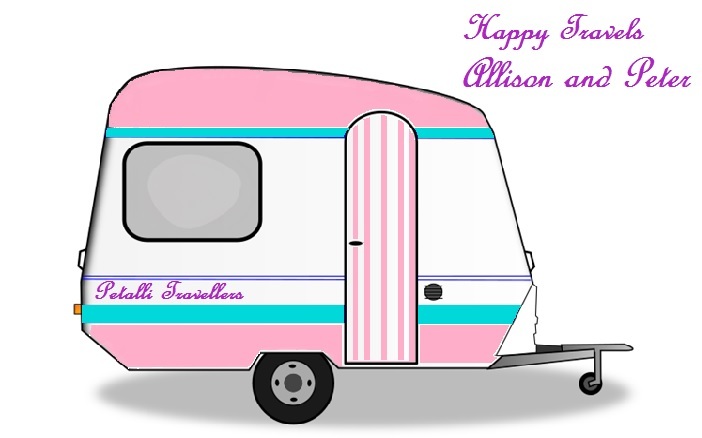 For $8 per night in the riverside camping we had a perfect riverside site. We have been coming here since 2013 and paying fees and now we can see the benefit of the fees. It use to be a dust bowl, but now is covered in green grass, and it is very close to town. Now it has drinking water taps spread around the common. The toilets across the road have been updated. 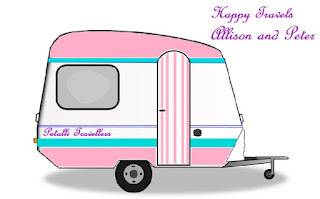 It was always a good stop over, but now it is even better, so we unhitched and stayed for two days. We filled up with fuel and visited the Blackall Woolscour. 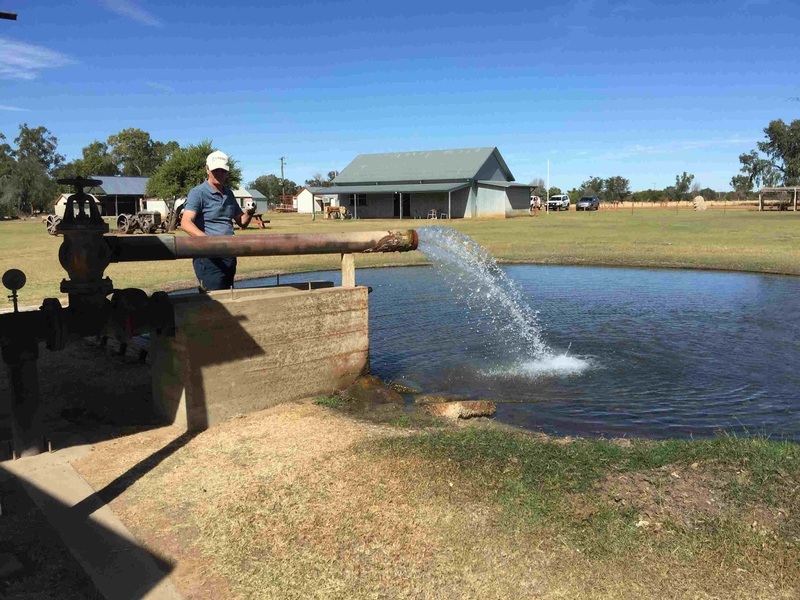 Blackall has Australia's only fully intact steam-powered wool washing plant left in Australia. It started operating in 1908 until 1978 and today is a tourist attraction. It costs $17 ($16 for seniors) to do a tour of the factory, but it is free to walk around the grounds. 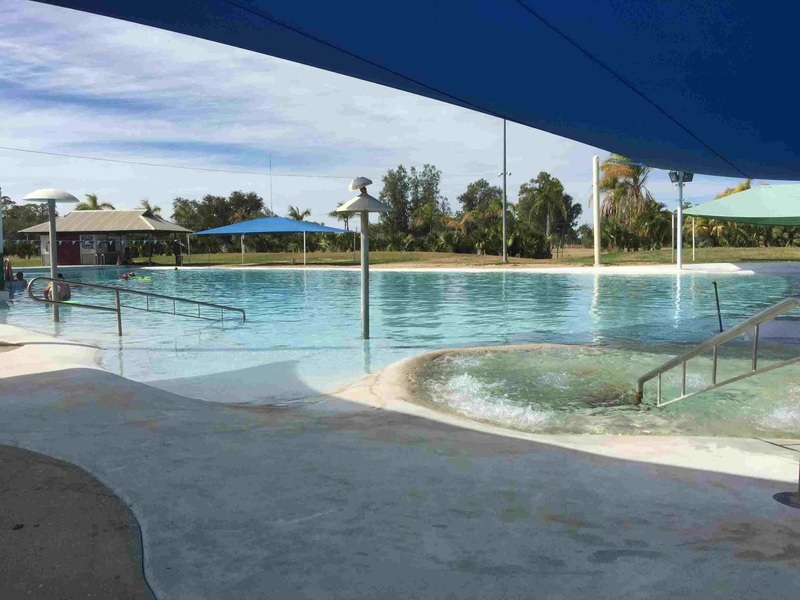 We next went to the Blackall Aquatic Centre. 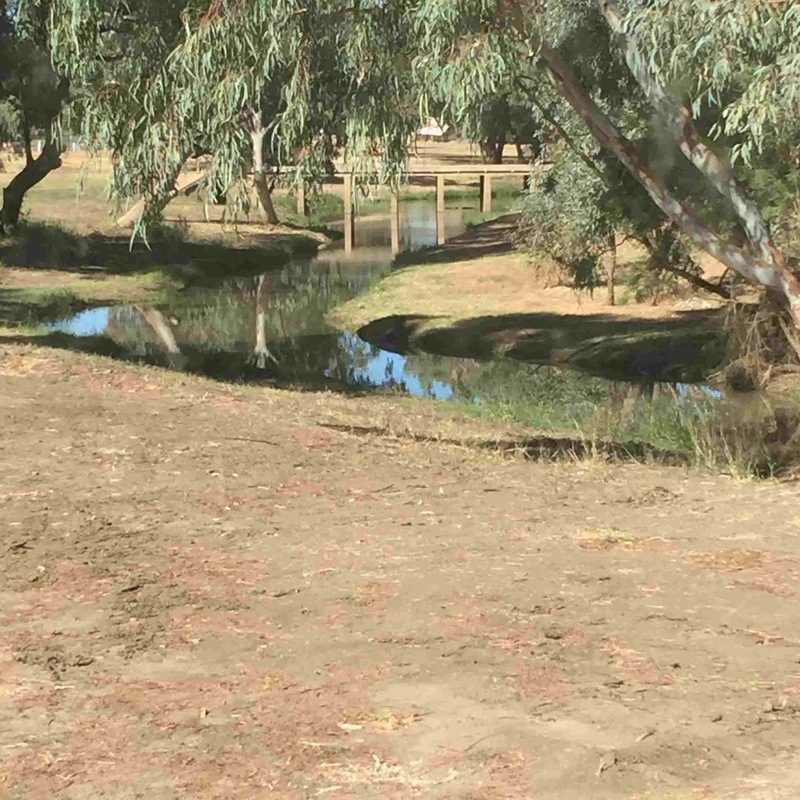 Blackall is situated on the Great Artesian Basin and thermal water feeds the Barcoo Creek and therefore the Barcoo River. The water is hot and relaxing. The pools were larger than expected and Peter said the coffee was good. It costs $2 to swim and it is free to look. We did some shopping – Peter likes a roast for Saturday night – and then had a walk up and down the main street. There are a lot of information boards along the street telling the history of the town, but Blackall is probably best known for the original Black Stump and Jackie Howe. 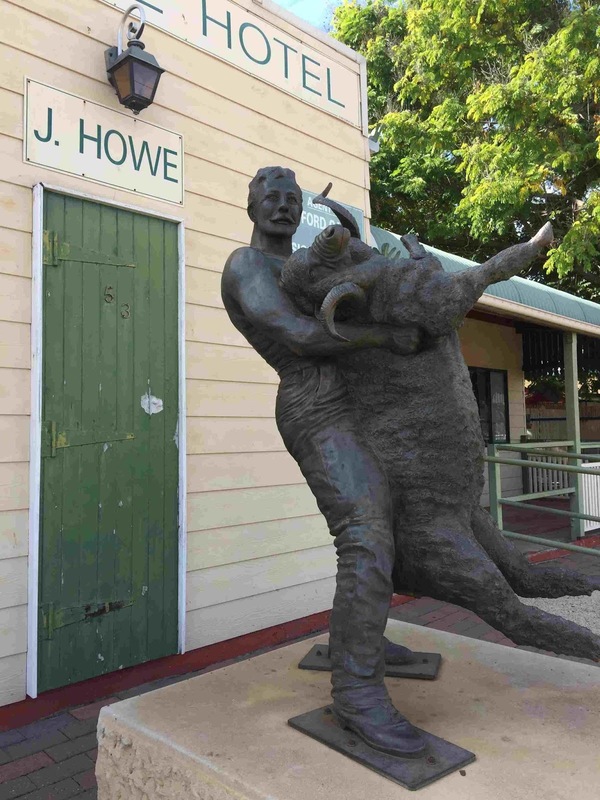 Jackie Howe is Australia's most famous shearer who set two shearing records in 1892. The main street has a replica of the Universal Hotel owned by Jackie Howe. Jackie Howe was born John Robert Howe about 1861 in Killarney near Warwick, and began shearing and moved to Blackall in the late 1870's, and married his wife Margaret Alexandra Victoria Short there in 1890. He was a strong member of the Queensland Shearers Union and was active during the 1891 and 1894 shearer strikes that lead to the formation of the Australian Labor Party. 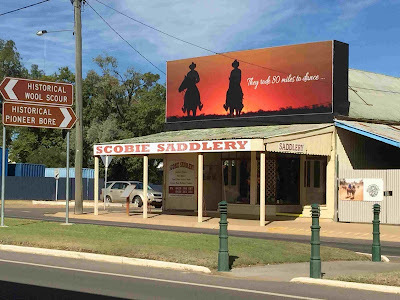 In 1900 he abandoned shearing and purchased the Universal Hotel at Blackall, sold it in 1902 and purchased the Barcoo Hotel, and repurchased the Universal Hotel in 1907. Howe had the hotel until 1919, when he moved to Sumnervale. He died the following year, leaving behind his wife, six sons, and two daughters. He is buried in Blackall Cemetery. The replica of the Universal Hotel was built on the same site as the original by Jackie Howe's granddaughter and her husband Mr Muir. The site of the Black Stump is located behind the school in Thistle Street. This is one of the sites that surveyors used to survey most of Queensland. This is where the term 'beyond the Black Stump' comes from – meaning any place west of the black stump. The stump is no longer there, but has been replaced by a petrified stump. The mural in the back depicts what the original scene would have looked like. A bit of Australian history. The town has many statues and sculptures, and there is so much more to see. The houses are beautiful and from a forgotten time. 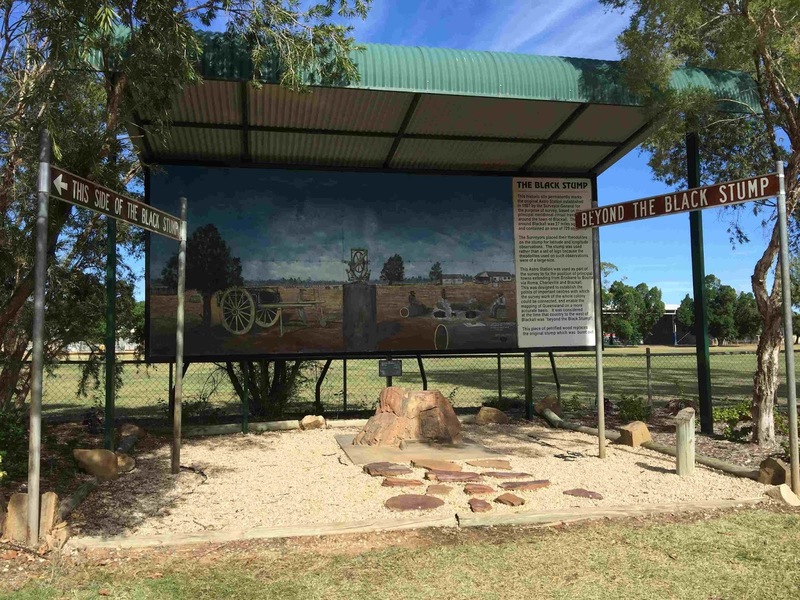 This year Blackall is 150 years old and in August/September there will be 10 days of celebrations. 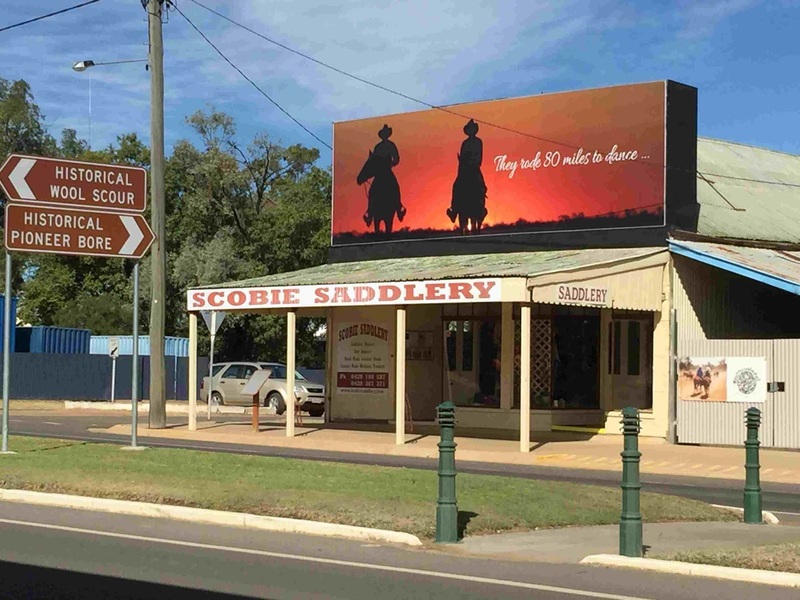 Each time we come to Blackall we notice the improvement, from the first time when there were many closed shops to today where the town has pride in promoting its heritage and tourism.